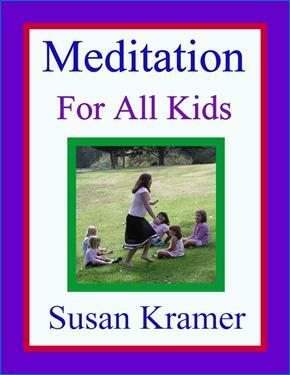 How to teach through description and illustration: sitting, walking, dance, relaxation, instant, music, running, swinging, biking and swimming meditations, plus a chapter of guided meditations on virtues, and a chapter of interfaith affirmations, inspirations and prayers. For tots to teens of all abilities. Useful resource for parents, educators and clergy. 102 pages in paperback. 10,600 words. About the author – Susan Kramer is a graduate of Peabody Institute Preparatory Dance of Johns Hopkins University, and has been teaching yoga, meditation, dance and academics kinesthetically as a dance specialist since 1965. She maintains a large educational web site at susankramer.com.